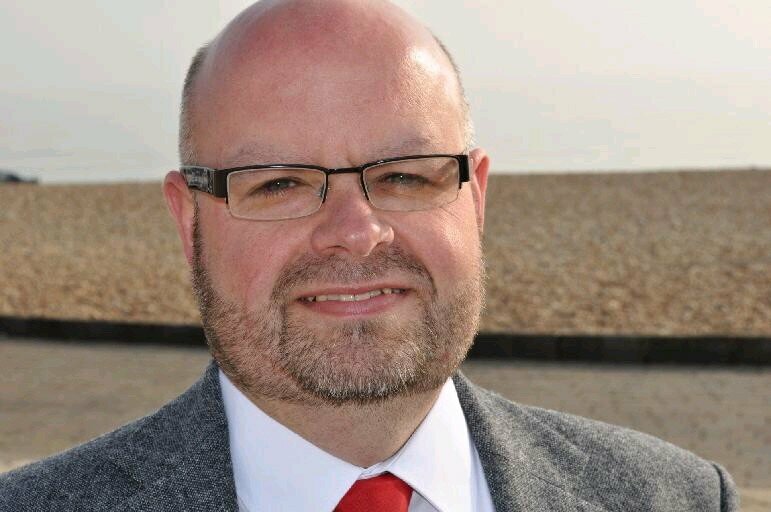 Some time after 4pm this afternoon, one lone Brighton & Hove councillor, one sole Labour representative serving on a little known committee, will make one of the most important decisions this whole city has to take for years to come. It appears that Councillor Warren Morgan, Labour spokesperson on the council’s P&R committee, must alone decide whether the city of Brighton and Hove should be permitted to vote on its level of council taxation for this year, or should be forced to accept the coalition government’s swingeing cuts … cuts that threaten severe consequences for our older residents and others who are dependent on city council services for their care, for help with their basic daily needs such as bathing, preparing a hot meal and cleaning. This is a great responsibility and Councillor Morgan must, right now, be feeling the full weight of it on his shoulders. If he gives the city his permission to hold a council tax referendum, he will have to backtrack on some of his recent pronouncements. If he denies the city its right to choose, he will be imposing an unacceptable ransom of government cuts and will single-handedly have decided that our elderly relatives, friends and neighbours should suffer a wholly avoidable level of deprivation. Why does so much responsibility rest on one person? Because the referendum decision today comes before this small committee, made up of just ten councillors. The committee has the power to block it before it’s even put to the full council for a vote, and long before it might actually go before the people of the city. Of these ten councillors, the four Greens want a referendum and the three Tories want a council tax freeze, so the balance of power is held by three Labourites. If even just one Labour member votes with the Greens, the referendum stays on the table. If all Labour members vote with the Conservatives, the referendum is blocked. Labour councillors are whipped. They are bound by their internal rules to follow the party whip, and the whip is held by Councillor Warren Morgan. So it seems that it is his sole decision, his personal preference, that will seal the fate of the city. The city hasn’t ever elected him into this position but, nevertheless, he holds it. Or does he? Just one Labour member has to vote with the Greens. Maybe it won’t be him. Maybe one of his colleagues – Councillor Jean Lepper or Councillor Les Hamilton – might believe that letting the people decide is more important than the whip. And if just one of them votes with the Greens, or if both of them abstain from voting, the referendum-based budget will go intact to the full council, for a proper, council-wide vote. And there again, Councillor Morgan could abstain and lead his colleagues to do the same. This does not impose the referendum on the city, it merely keeps it alive for a decision by full council. They would not be voting for a referendum, they would simply not be blocking it at this early stage, and instead allowing the decision to be made by full council. It is not right that such responsibility should rest solely on one pair of shoulders. And it needn’t. Why not abstain from voting? Councillor Morgan, Councillor Lepper, Councillor Hamilton: let full council decide whether to let the people decide. This is not your decision to make, today. Please don’t make it. Previous post Balcombe: scaling back or scaling up?